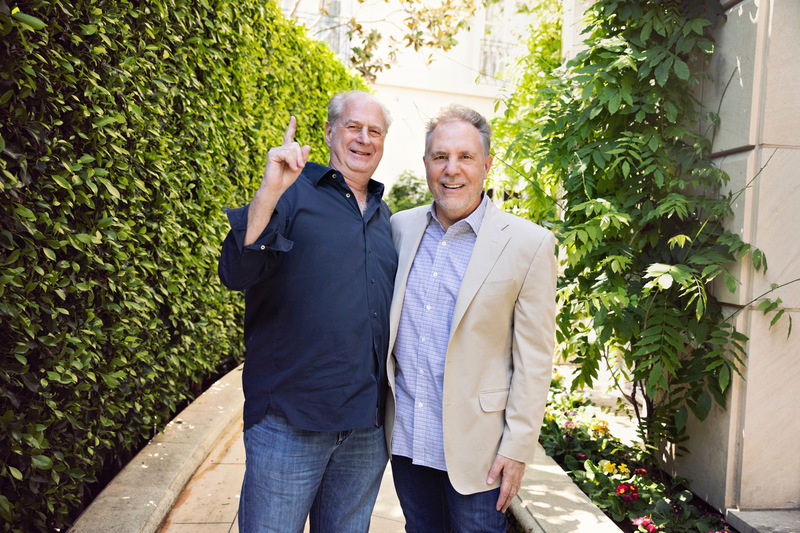 Confirmed: Frontier Touring & AEG Presents join efforts to "enable future growth"
Image: Michael Gudinski & Jay Marciano. Photo by Christina Gandolfo. (Supplied). Michael Gudinski is in deal mode. Just last month he entered into a joint venture with Michael Chugg, and today Gudinski revealed the details on a widely-rumoured partnership with touring giant AEG Presents, “to unify their operations throughout the two countries”. Established in 1979, Frontier Touring will continue to operate under its existing name, led by Gudinski. Frontier was ranked the #3 promoter globally, according to Billboard. This new partnership, many will be hoping, ensures Frontier remains independent and capable of competing with Live Nation. The two independent companies have already had a partnership across numerous tours in Australia and New Zealand since 2007, including the Rolling Stones, Leonard Cohen, Taylor Swift’s Red and 1989 Tours, Celine Dion, Justin Bieber, Rodriguez and Shawn Mendes. CEO of Frontier Touring, Michael Gudinski said: “Frontier Touring has been fiercely independent since its inception in 1979 and there is no doubt that we’ve batted well above the average on a global level in recent years. “This next step is about ensuring that Frontier, AEG and our joint venture partners Illusive Presents and Chugg Entertainment raise the bar in the Australasian live market higher than ever before. Jay Marciano, Chairman and CEO of AEG Presents, said, “Frontier Touring and AEG Presents share a passion and commitment to delivering the best music experiences to artists and fans alike. The new partnership will begin July 1 this year. Frontier’s existing joint venture with Matt Gudinski’s, Illusive Presents, and the recently announced Chugg Entertainment joint venture, will continue as planned. This includes Australia’s largest country music festival CMC Rocks, which will now be operated as part of the new partnership. The joint venture with AEG Presents applies only to Frontier Touring and not the wider Mushroom Group stable of 25 companies, however, Mushroom says Frontier will continue to remain a part of and utilise the extensive resources of Mushroom Group.